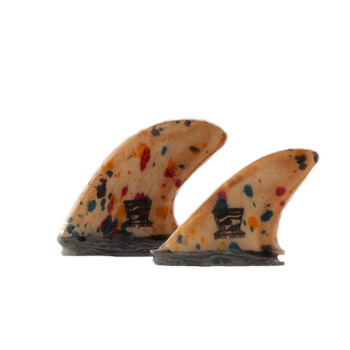 A great all-around fin set for your thrusters and shortboards. Bamboo and fiberglass construction result in a light fin that’s responsive and fast in all conditions. Handmade in Encinitas, CA. 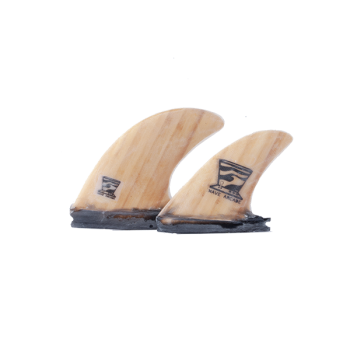 Upgrade your shortboards with this set of bamboo thruster fins. A mid-high sweep paired with a light and responsive bamboo and fiberglass fin is the ideal choice for a wide range of conditions and surfing styles. 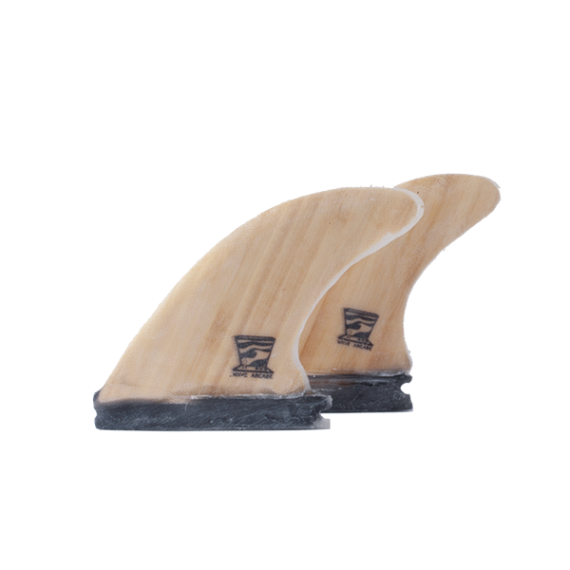 These fins are made entirely out of sustainably-sourced bamboo, bio-based resin, and fiberglass. 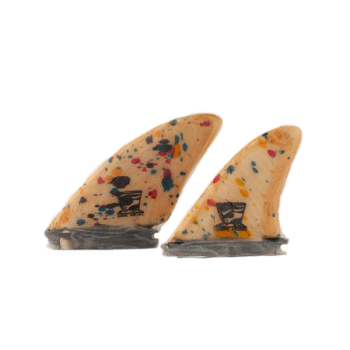 This set is sure to stand out from your other thruster fins. 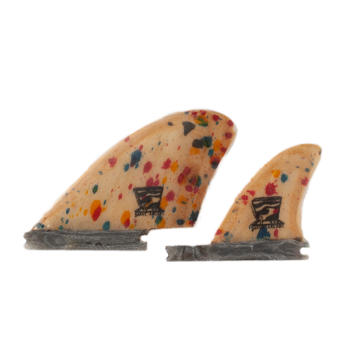 Available for both Futures and original FCS fin boxes. Or order a set to glass on yourself.